LANGKAWI, Malaysia --- Russia is participating in the call for bids to supply combat-capable trainer aircraft to Malaysia and will present the Yakovlev Yak-130, head of one of the Rosoboronexport divisions, Sergey Gorbenko, said during the Yak-130 presentation that was held at the LIMA-2019 Expo. "We are planning to bid. The initial stage is 18 aircraft, and the whole program includes 36 jets," he said answering the Malaysia call for bids question. Currently, the Yak-130’s main competitors on the global market are trainer aircraft and combat-capable trainer jets produced by some European and Asian states. In particular, Malaysia possesses the Hawk aircraft manufactured by the British company, BAE Systems. According to public data, the country operates 10 trainer Hawk 108s and 8 Hawk 208 light fighters. 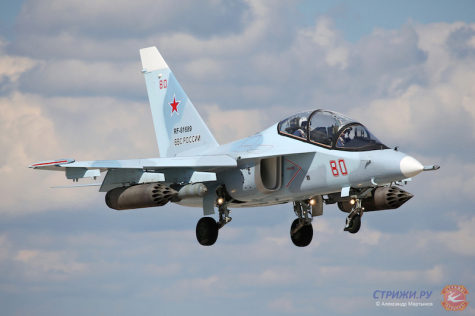 LANGKAWI, Malaysia --- Russia may create a service centre for the maintenance of Yak-130 light attack aircraft in Malaysia in the event the Southeast Asian country purchases these jets, Russia’s United Aircraft Corporation (UAC) President Yuri Slyusar said Tuesday.